Upload PDF & Save Word file! Convert your PDF to docx, doc and txt very quickly and totally free. 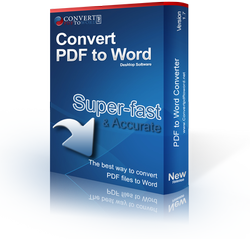 If the converted result is an image and it is not editable, so in this case you need to use our online OCR converter to convert it to an editable word file. The result will be a Word file without text boxes. How to edit my Word Document? How To Insert Images In A Word Document? How To Insert Page Numbers In Word Document? How to lock and unlock Word Document? How Do You Email A MS Word Doc? How To Make One Page Landscape? How To Merge Two Documents? How To Insert A Line In A Word Document?